Kevin was going over the art of leather working on Wednesday at NESIT. 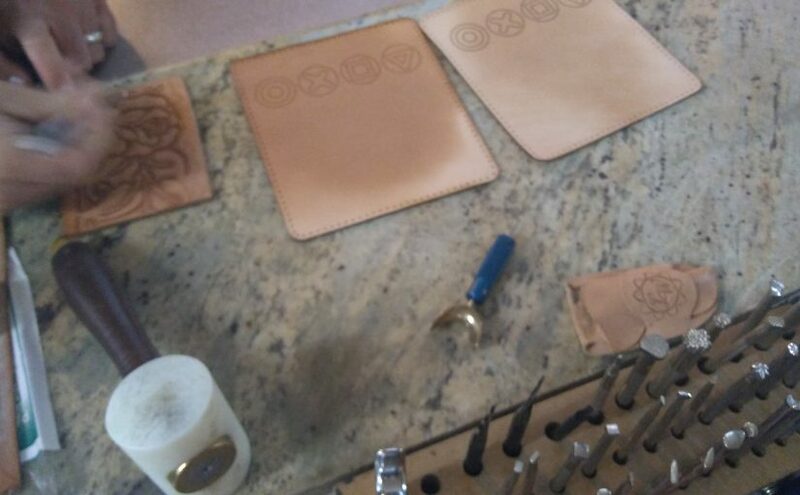 Tooling and died patches of leather are useful in a variety of crafts. Case in point. If you look close at those patches you’ll see Playstation buttons tooled into them. We’re not sure what he’s doing here; possibly designing a giant Playstation controller?